D4 is by far our most common pattern and an improvement to the common "quilted pattern." Stainless Supply's design is based on a 2.82" square dimension instead of the common 3". 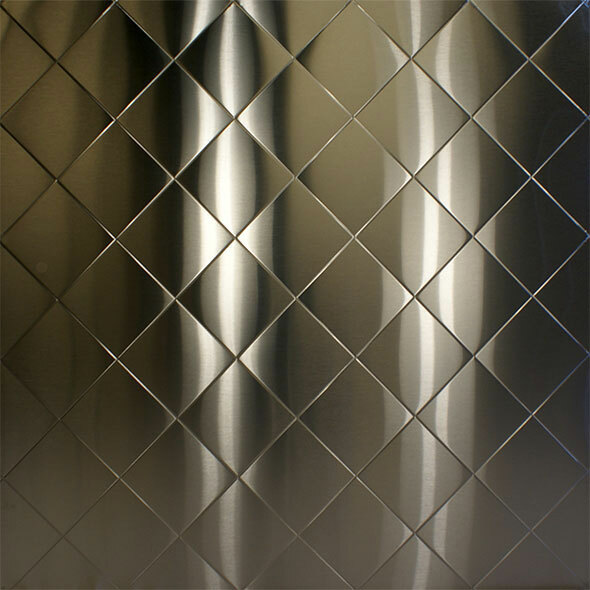 This causes the point to point dimension to be an even 4", allowing the diamonds to be full on all edges of a full 4' x 10' or 4' x 8' sheet. In contrast, the common 3" design will not line up on full sheets and not give a seamless transition to full sheets installed next to each other. 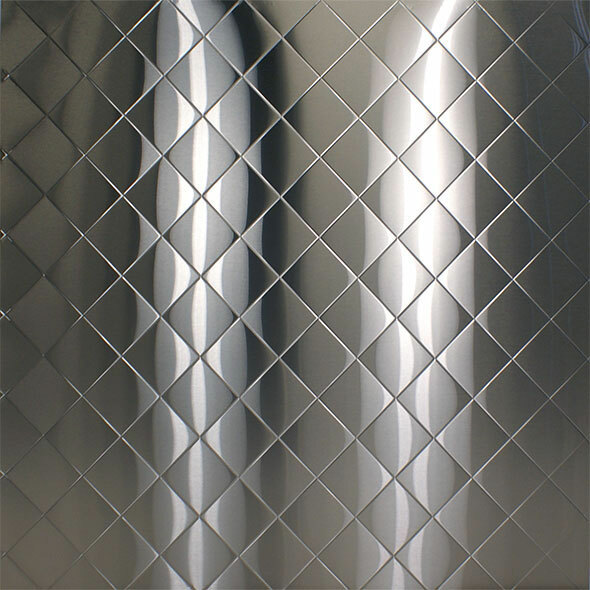 Using our trim molding, the pattern on full sheets of quilted stainless steel will appear to run continuously.